You close my eyes, lay me down to rest. Me, nestled in your lap, my head against your shoulder. I have complete trust in you. You have cared for me all the days of my life, and you are who I know best of all. Your hair, your laughter, your tentative smile, just like mine. My arms wrapped around your neck become my fingers folded into your palm. Wait for me, mom. Don’t walk too fast. My legs are small and it’s hard to stay by your side. Restless to get out on my own, I leave you alone as I forge out my life, one in which you may not – cannot – endlessly watch over me. Still, I seek you and your wisdom, occasionally. When I feel lost and inadequate. When I need some ideas, confidence. I reach out for you, my guide from the past, the one who once knew the secrets of the universe. Teach me to be like you. And teach me what not to do. Help me step into this role that I so long thought was yours, exclusively. How do I hover and yet allow the treasures of my heart to sparkle as they will? How did you not cling to me violently and demand, I need you here with me? And now I return. Because now you need me, desperately. An intruder wreaks havoc in your head and the prognosis is no good. Was I a good daughter to you? Did we have enough time together, you and me? It was just the two of us for so long. Remember Saturday outings to the movie theater and you avoiding the freezing water at the beach? Our time together is stored away in memories now, vacations that come twice a year. I fear we have become acquaintances more than family. Yet blood binds are strong and I know I can count on you for anything I need. Do you know you can count on me? Too late to say sorry for the nights I kept you awake. All that is long past. How long will this illness last? How many days of daylight remain for your eyes? How many times more to look upon my face? Take my hand, rest your head on my shoulder. I am older now, but I still have total trust in you. We can get through this, the two of us. 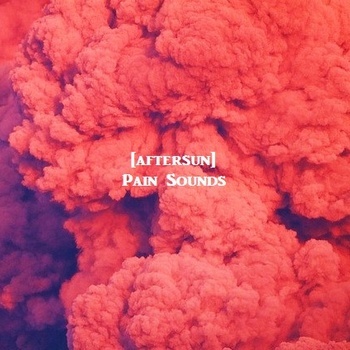 Hear this on [aftersun]’s Pain Sounds EP. Download it free on last.fm. How many days of daylight remain for your eyes?